Where in the world do you want to go? Have you ever stopped for a few minutes in this overwhelmingly busy life to think about it? Dreamt about where you truly want to explore? Have you actually created a travel bucket list? This great, amazing, wonderful, beautiful world has so much to offer! A majority of us stay in our own little corner of it, in our same basic routine. Exploring new destinations is a great way to venture out of our routine. Traveling is a chance to gain perspective through new experiences. Not to mention vacations can give us energy and actually make us happier, as proven by research! 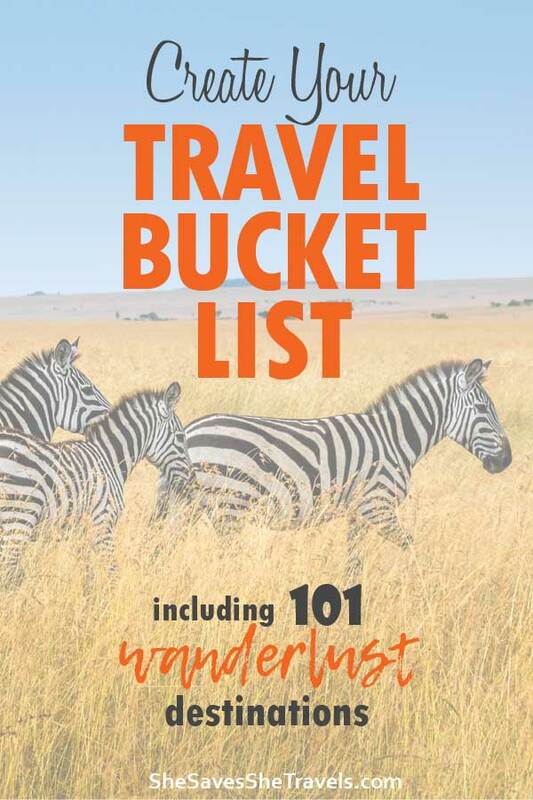 So friend, do you have a travel bucket list? Like one that you’ve taken the time to daydream, to create, and really get excited about? Well dreamer, why not let today be the day to start your travel bucket list? Imagine, if at the end of your life you looked back and you’ve had every travel experience you wanted to have, and went every place you’ve wanted to go. How full would your heart be? What are your travel dreams? 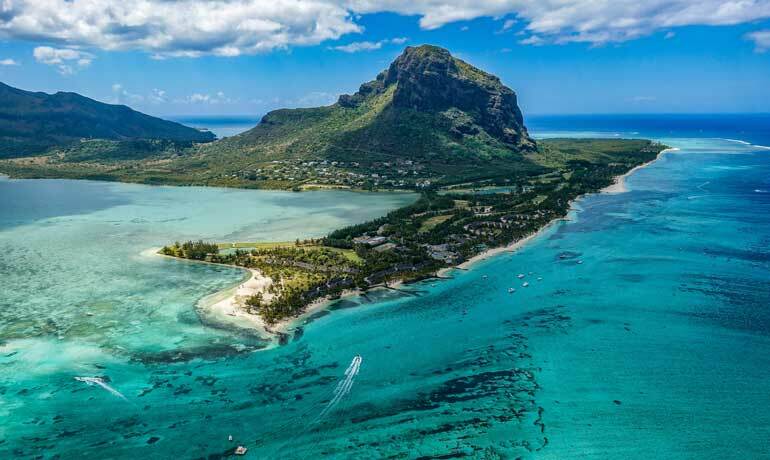 Whether you’re dreaming about visiting every island in the Caribbean, every theme park in America, every mountain range in the world, or whatever your goals are, it’s time to write them down! Do you know, if you write down your goals, you’re 42% more likely to achieve your goal? Hear that, friends? Forty-two percent! That’s huge! So by writing down your travel goals you’re more likely to actually go on those trips, have amazing experiences, and live the life you’re dreaming of! I’ve got BIG dreams. We all do, right? So as a #dreamer, I’m motivated by dreaming about my next trip. Because friends, I truly believe this world was made for us to explore. As Walt Disney says, “if you can dream it, you can do it.” This is one of my favorite quotes, and if you’re part of this community of dreamers you may have heard me mention it before. 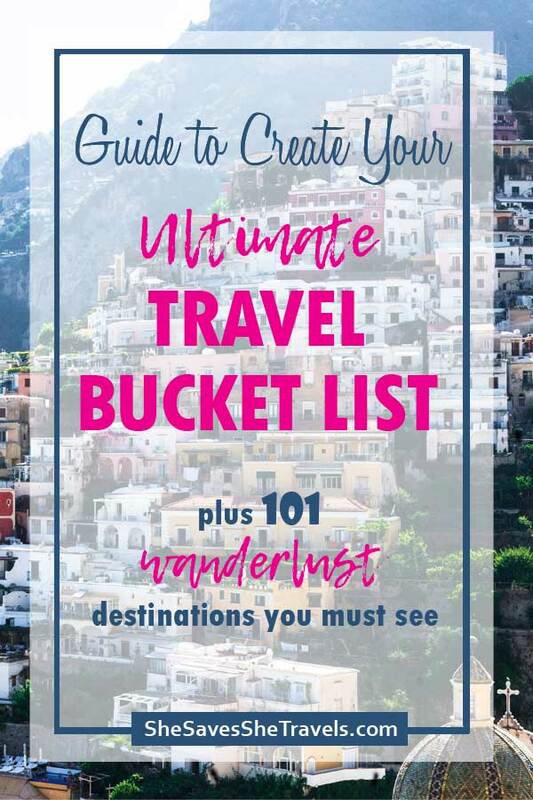 So go ahead, dream big and create your ultimate bucket list! This is the fun part! A bucket list is a wish list of locations you want to visit. 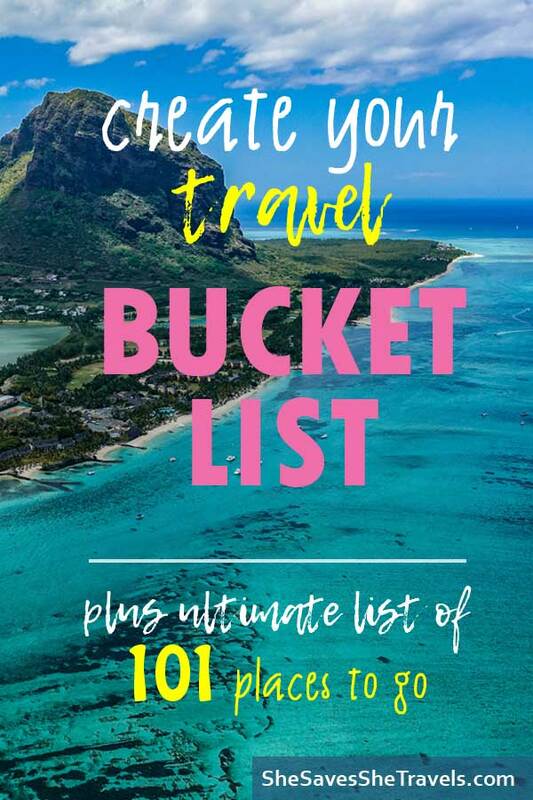 You get to make your travel bucket list as long or short as you’d like! Are you dreaming of a few huge trips that will take years to come true? Or will a trip a year (or a month!) satisfy your travel craving? 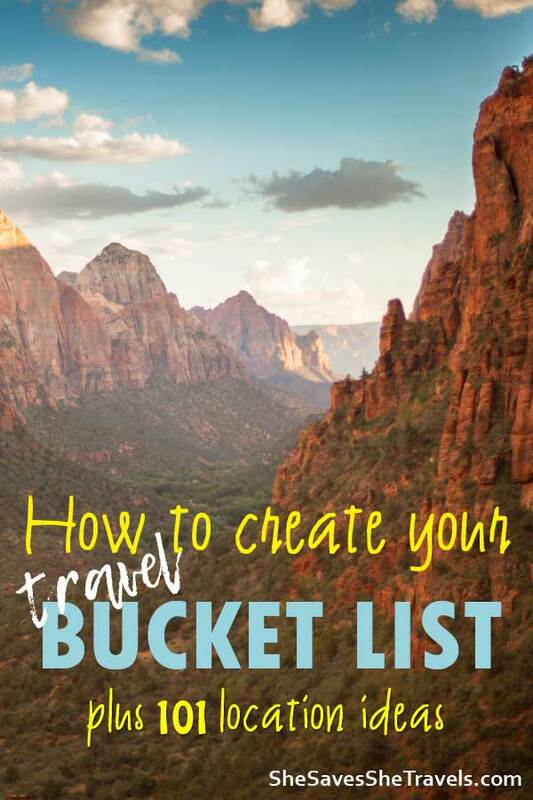 Read through the following exercise to create your own travel bucket list. Always wanted to see the Grand Canyon? Ready to marvel at the Taj Mahal? Wanting to hit the cobblestone streets of Italy? 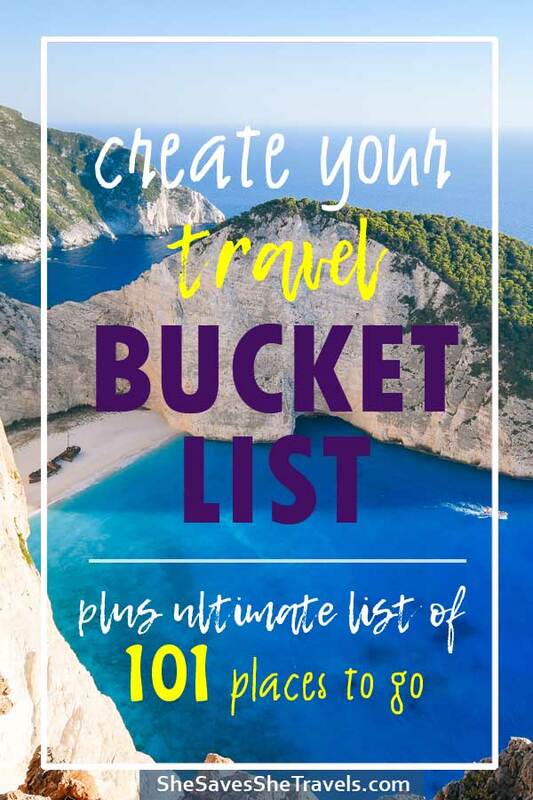 Whether they’re trips with your significant other, family vacations, girls weekends away, trips with friends, or anything in between, those places that come to mind right away go on your list first. Remember this is your list, so build it to match your true travel desires. Use the questions below to think of more places to add. Seriously take some time to work through these questions. And don’t hold back! Where have you always wanted to go? Where does your heart sing? Which destinations could you visit that would bring out the best in you? What could you do on vacation that you really, really want to, but scares you a little bit? Ok, now where is that? What travel experience would create an epic story so good you’ll tell it to friends and family when you’re 90 years old? Google and Pinterest are your friends here! 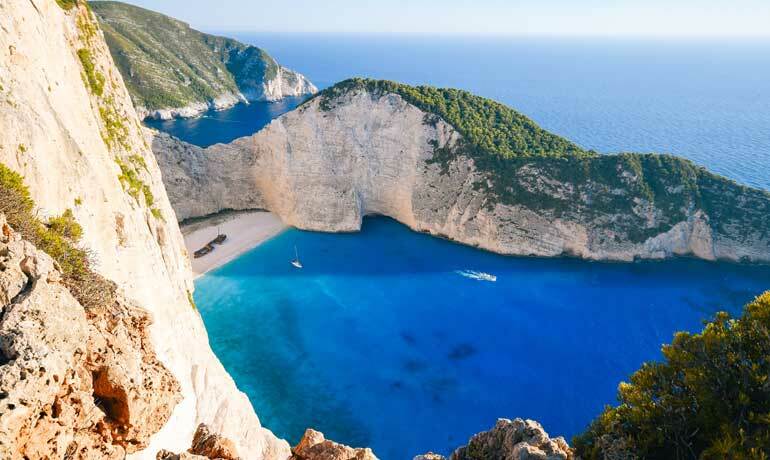 Searching anything from ‘best hiking trails in the world’ to ‘best undiscovered beaches’ to ‘best family destinations in Asia’ to whatever else you’re into, you’ll be swooning over pictures on your screen as you review all your options. Researching might also spark a memory of a location you’d considered before. For instance, you’re on Pinterest and find a pin about top beaches in Mexico. Then you remember the time you saw photos of the undiscovered beach off the coast of Barbuda and wanted to check into flights. 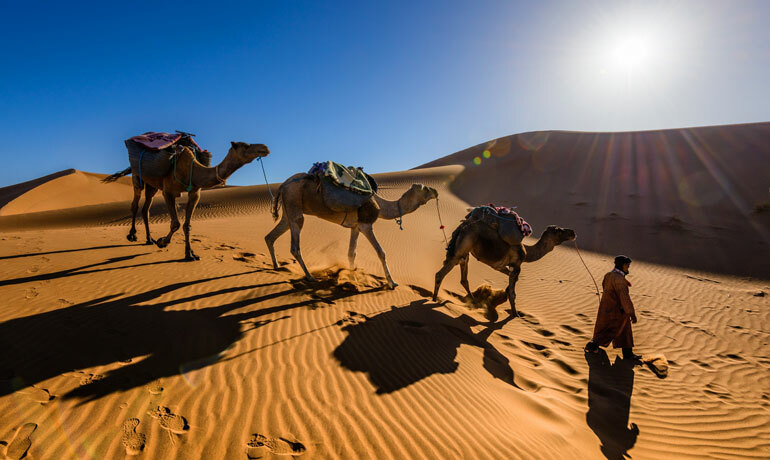 Wherever your research takes you, use this time to discover your ideal destinations and add them to your travel bucket list. I’ve included my bucket list at the bottom of this article in hopes that it may help you think of ideas. 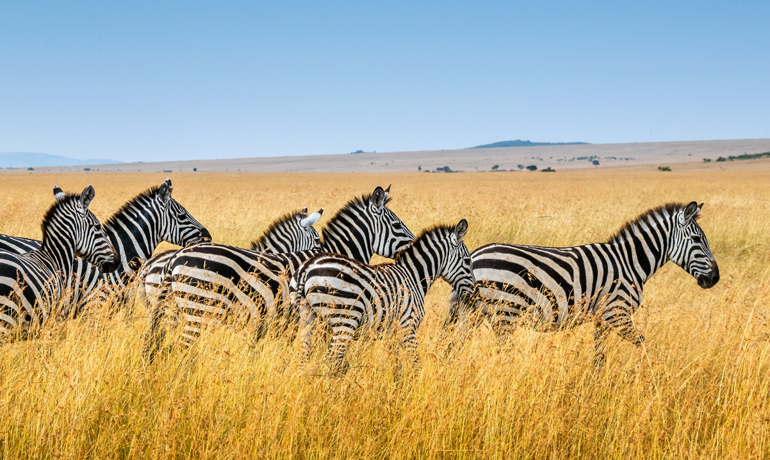 Okay, are you feeling good about your travel bucket list? Does it excite you to even imagine experiencing all those destinations? The next part is a bit more challenging: making it happen. A great place to start is prioritizing your list. You could try to categorize them in order of affordability, or location, or the dreamiest first. Once you’ve identified your first trip, do some basic research to figure out how much it will cost. Then determine your timeline. If you want to go to your first destination in fifteen months, take that basic cost and divide by fifteen. Can you save that much per month? If not, you have a three options: change your timeline, change your destination or change your finances. The key here is not to get discouraged! If you’re feeling overwhelmed with the ‘how’ to get there, then it’s time to start making lifestyle changes so you can achieve what’s on your bucket list. Your lifestyle and finances can help you achieve your dreams of crossing every destination off your list, but you need to ask yourself the hard questions to make big changes. 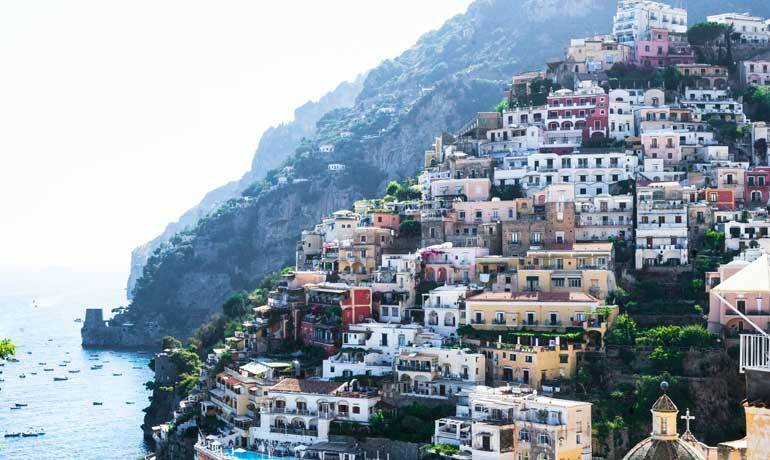 What would you have to give up to be financially able to afford your travel bucket list? How could you increase your income and therefore savings in order to travel? 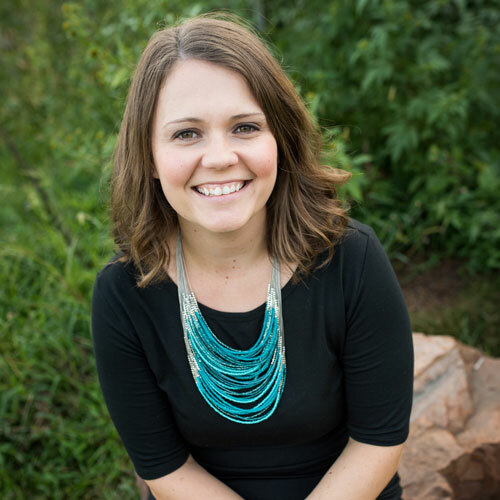 What can you do on a daily basis to move toward achieving your travel bucket list goals? As you go through these questions, please remember that NOTHING is impossible. If your mind can create it, and you truly believe in it, you can achieve it. Finally, stay inspired. Just the process of creating your list can light a fire within you to make changes to your life and achieve your travel goals. Use this as motivation to save some serious cash so you can travel when and where you want to. Look at your finances every month, week, or payday to keep track of your savings goals. 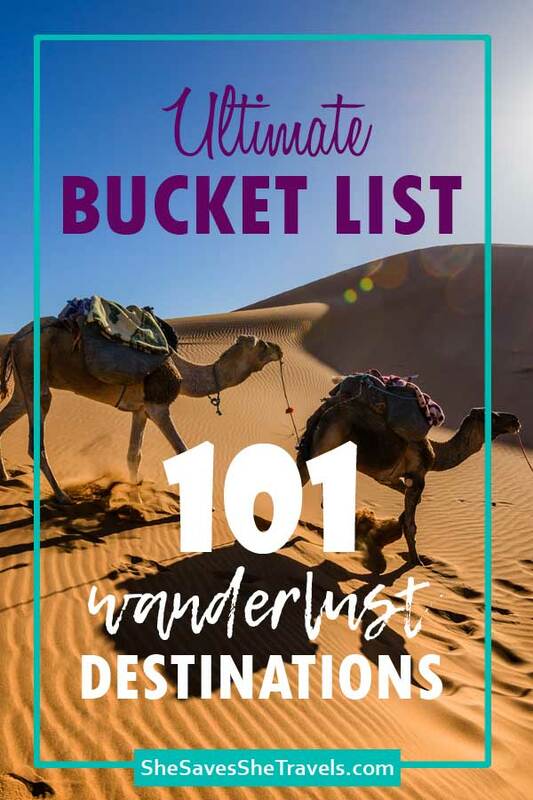 As promised, here’s my list of 101 destinations full of wanderlust. I’ve traveled to some pretty amazing places, but I have so much of this big world left to explore! Really great points and love that you included ways to stay focused and motivated. Thanks Donna! Making the list is the easy part. Making it happen is a bit tougher. Thanks for stopping by today! Love this! I can’t wait to make my own bucket list! My top three are Hawaii, Ireland, and Greece. This was an awesome post. I’m thinking about making a dream board that I can look at for inspiration every day. I’ve always wanted to go to Paris, France as well as learn the language. Thanks for sharing! Oh wow! We have our bucket list but it’s not as large as this. I need to update. Also, add Boracay in the Philippines on the list. 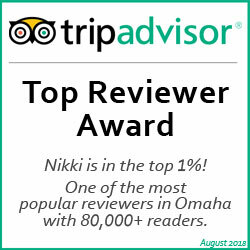 It recently opened and it’s a great place to go! It has one of the whitest sands I’ve ever seen. I also love exploring locally, too Johanes! Keep plugging along and you’ll make it to amazing destinations, especially within your own country! 🙂 Thanks for stopping by the blog today.